NationalSawdust+ presents the third installment of Pulitzer Prize-winning poet Paul Muldoon’s new literary-music series, Against the Grain, featuring award-winning writers Min Jin Lee and Tracy K. Smith, and the dynamic music ensemble Sō Percussion. Presented in association with London Review of Books, the series is dedicated to making art that is equal to the contrariness and complexity of our moment. NationalSawdust+ is a lively performance and conversation series in which luminaries from across disciplines share their passion for music and explore ideas, making surprising connections. Curated by Elena Park, the series taps artists and thinkers from theater, film and visual art, literature, science and beyond, to create insightful programs that reflect their own interests. Whether through live performances, conversations, or readings, each program has its own alchemy, engaging the audience in new and unexpected ways. Often topical, and always imaginative, NationalSawdust+ is an ideal space for those with curiosity, adventure, and vision. 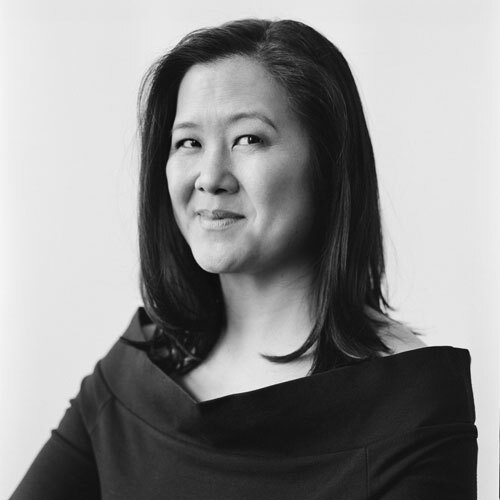 Min Jin Lee is a recipient of fellowships in Fiction from the Guggenheim Foundation (2018) and the Radcliffe Institute of Advanced Study at Harvard (2018-2019). Her novel Pachinko (2017) was a finalist for the National Book Award for Fiction, and a New York Times 10 Best Books of 2017. A New York Times Bestseller, Pachinko was also a Top 10 Books of the Year for BBC, Canadian Broadcasting Corporation, and the New York Public Library. Pachinko was a selection for “Now Read This,” the joint book club of PBS NewsHour and The New York Times. It was on over 75 best books of the year lists, including NPR, PBS, and CNN. Pachinko will be translated into 24 languages. Lee’s debut novel Free Food for Millionaires (2007) was a Top 10 Books of the Year for The Times of London, NPR’s Fresh Air, USA Today, and a national bestseller. Her writings have appeared in The New Yorker, NPR’s Selected Shorts, One Story, The New York Review of Books, The New York Times Magazine, The New York Times Book Review, The Times Literary Supplement, The Guardian, Conde Nast Traveler, The Times of London, and Wall Street Journal. She served three consecutive seasons as a Morning Forum columnist of the Chosun Ilbo of South Korea. In 2018, Lee was named as an Adweek Creative 100 for being one of the “10 Writers and Editors Who are Changing the National Conversation” and a Frederick Douglass 200. She received an honorary degree of Doctor of Humane Letters from Monmouth College. Tracy K. Smith was born in Massachusetts and raised in northern California. She earned a BA from Harvard University and an MFA in creative writing from Columbia University. From 1997 to 1999 she held a Stegner fellowship at Stanford University. Smith is the author of three books of poetry: The Body’s Question (2003), which won the Cave Canem prize for the best first book by an African-American poet; Duende (2007), winner of the James Laughlin Award and the Essense Literary Award; Life on Mars (2011), winner of the Pulitzer Prize for Poetry; and Wade in the Water (forthcoming, April 2018). In 2014 she was awarded the Academy of American Poets fellowship. She has also written a memoir, Ordinary Light (2015), which was a finalist for the National Book Award in nonfiction. In June 2017, Smith was named U.S. poet laureate. She teaches creative writing at Princeton University. Their repertoire ranges from “classics” of the 20th century, by John Cage, Steve Reich, and Iannis Xenakis, et al, to commissioning and advocating works by contemporary composers such as David Lang, Julia Wolfe, Steve Mackey, and Caroline Shaw, to distinctively modern collaborations with artists who work outside the classical concert hall, including Shara Nova, the electronic duo Matmos, the choreographer Susan Marshall, Wilco’s Glenn Kotche, The National’s Bryce Dessner, and many others. Sō Percussion also composes and performs their own works, ranging from standard concert pieces to immersive multi-genre programs – including Imaginary City, Where (we) Live, and A Gun Show, which was presented in a multi-performance presentation as part of BAM’s 2016 Next Wave Festival. In these concert-length programs, Sō Percussion employs a distinctively 21st century synthesis of original music, artistic collaboration, theatrical production values and visual art, into a powerful exploration of their own unique and personal creative experiences. In the current season, Sō performs the New York premiere of David Lang’s man made with Louis Langrée and the Mostly Mozart Festival Orchestra; tours a new work by Caroline Shaw with Dawn Upshaw and Gil Kalish to the Kennedy Center, San Francisco Performances, UCLA, Penn State, and elsewhere; returns to Carnegie Hall with the JACK Quartet in a program of new works by Donnacha Dennehy and Dan Trueman; tours the United Kingdom with its original production exploring the community and culture of English coal mining country, From Out a Darker Sea; and more. The London Review of Books is Europe’s leading magazine of culture and ideas. Published twice a month, it provides a space for some of the world’s best writers to explore a wide variety of subjects in exhilarating detail – from art and politics to science and technology via history and philosophy, not to mention poetry and fiction. In the age of the long read, the LRB remains the pre-eminent exponent of the intellectual essay, admired internationally for its fearlessness, its range and its elegance.